had an origami artist make the largest origami birthday cake. It was 9 feet tall! 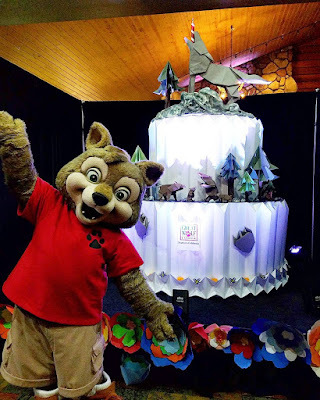 Have you ever been to The Great Wolf Lodge? What was your favorite thing? Thank you for hosting a great blog party!